When I was trying to decide what hobby I wanted to get into I wanted to find something that I could do alone that would allow me to unwind from work every weekend. I remembered back when I was about 10 years old a couple cousins and I buried a time capsule in the back yard near a large tree. Our items consisted of hot wheels cars, various coins and whatever else we thought could fit in the hole we had dug in the ground. 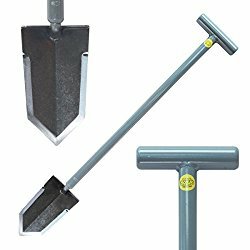 I went online and googled metal detecting and metal detectors and spent hours reading various forum posts and articles about metal detecting, then I spent hours on end watching metal detecting videos on youtube. I was sick with it, and as you can see I still am. 🙂 The more I read and watched about metal detecting the more I wanted to go metal detecting! I started telling friends about my interest in detecting, and my buddy Dave told me he had an old metal detector he would let me borrow. A Micronta 3001 Metal Detector, an old VLF type of metal detector with a meter and needle indicator. Nothing fancy, but it would detect metal and that is all I needed or wanted at the time because I didn’t know the difference in one detector and another! I went by my buddies house and picked up the detector one cold winter evening. On the way home I could hardly contain myself thinking about all of the coins and other cool stuff I was going to find. It was 11:30 pm, 30 degrees outside with a full moon. All I had was a small garden trowel and a metal detector, but off I went to my back yard. Every signal got my heart racing. Every signal made me feel like a 9 year old kid again! Every target had my adrenaline rushing through my body, and every target gave me a sense of discovery. It was like Christmas every hole! The 30 degree weather didn’t bother me, nor did the lack of a pinpointer or flashlight. It simply didn’t matter because I was having FUN! My finds included a spark plug, a CO2 cartridge, twist off beer caps, pencil eraser, matchbox car, foil and of course random pieces of iron and nails! It didn’t matter, every target was a new discovery and I was having fun because I was finding metal. I didn’t know the difference in a Micronta or a Minelab metal detector, all I knew was that I was finding metal items and I was having fun. Since then I have had the luxury of owning or using many metal detectors ranging from introductory machines to detectors that cost over $1000. All of my metal detectors have brought me joy in the field, but if I am being honest, that particlar night metal detecting under the moonlight is the most fun I’ve ever had metal detecting. That brings me to a good point… You do not have to have the most expensive gear to go metal detecting. Your detector doesn’t have to cost thousands of dollars to get out in the field and start finding stuff. All a guy really needs is a decent introductory metal detector and a good digger if he can afford it. A pinpointer is a luxury, and some would say a necessity, but you “can” find stuff without one. Metal detecting is a fun hobby that doesn’t require a lot of money to get started. Obviously, with a little more money you can get a detector with more advanced features, but you don’t have to break the bank getting started. The main thing about metal detecting is to get out there and have fun, and when I think back to one of my most fun hunts ever, it was that night under the moon light with my Micronta 3001 metal detector and a pouch full of excitement at every beep! If I am ever back home and get the chance to metal detect I am going to go back and ask permission to detect by that tree… I wonder if those items are still there? Wouldn’t that be a cool hunt to blog about? Have fun out there my friends, THAT is what metal detecting is all about! – For displaying Collectibles, Coins, Civil War Bullets, Buttons, and more. – Protect your favorite finds. This entry was posted in Arkansas Metal Detecting, Metal Detecting Equipment and tagged articles about metal detecting, metal detecting, metal detecting blog, metal detecting videos on youtube, metal detector, Micronta 3001 Metal Detector. Bookmark the permalink.